The company began franchising in 1995 and within three years was recognised by Entrepreneur magazine as one of the 100 fastest growing franchise companies in the United States. In 2004 Home Instead Senior Care started franchising internationally. In 2005 Home Instead Senior Care was founded in the UK. Originally under the leadership of Trevor and Sam Brocklebank. The inspiration came from Trevor’s personal experience of needing to find a quality care solution for his grandfather. The lack of choice and quality frustrated them and their family. They were looking for someone to visit for a few hours a day to provide help with cleaning and cooking and all-important companionship. Realising that such care just wasn’t available, the seed of an idea to launch a care business with a difference was planted. Having identified a gap in the market, the Brocklebanks then discovered an exceptional home care franchise model overseas that offered a perfect solution. They were given the opportunity to establish the franchise in the UK and that’s exactly what they did. 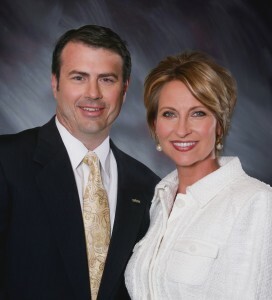 Today the UK operation is owned by the founders of Home Instead Paul and Lori Hogan, it has a network of over 190 franchisees, looks after more than 10,000 clients and employs 9,000 CAREGivers. Each office is owned and managed by people who have both genuine and personal reasons for wanting to provide the very best support for older people, to enrich their lives with love, care and attention. 2017 Conference. Do you want to be part of our story?